Getting your video on Youtube has always been the easy part. The hard part has always been how do you get your video to stand out and show up on top of the search results. You can have the best video content on youtube but if you don’t use the right tools to promote you video its likely it wont be seen by anyone. During my recent trip to the SMX West Santa Clara, CA I stopped by the Up Close with Youtube session and was able to pick up key information on how to make your video rank high. To start off here is a bit of history about where Youtube is today in the SEO Market. Youtube is the worlds 2nd largest search engine. 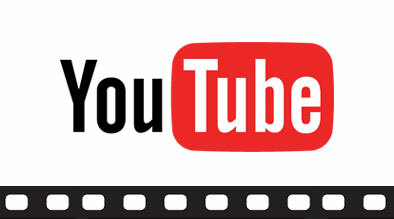 Youtube has hundreds of millions a user a day and every day thousands of hours of video content are added. Youtube is 4th largest web property in the world and is on the path to become the source of advertising and publishing new content. Generating a high ranking is a key to success to generating good traffic that leads into making your site a profitable site. Some keys things to keep in mind when generating a high page rank are titles, descriptions, tags, keywords and sharing your video with the community thru blogs. When thinking of a title for your video, think of a descriptive eye catching phrases that the user would think of putting in the search field in a search Engine. Possibly adding dates, time, location or something more unique and specific can drive higher ranking to your video. When add a description to your video try to use complete sentences, add details like place, location, dates and something the user can relate to. When adding tags to your video always be consistent, use descriptive keywords and avoid keyword stuffing. One of the greatest ways to drive higher traffic to your video is to share your share your video with the world. Share videos with members of the community, experiment with annotations and always have a section for user feedback. Another key to sharing your video and driving traffic is to use the embed feature and post your video on other social media network sites, blogs and video hosting sites. A huge key to see where your video is ranking to see what type of user generated results your video is producing. Youtube highly recommends using there Insight tool which gives results of demographics and data that can give you a better hand on whats working and whats not. Insight will help generate reports that tell you where there traffic is arriving from, what keywords are being searched and provide data that will help you see which target audience is viewing your video. How to get your video ranked high with Google search? Some of the keys to higher google search results is the use of sponsored videos paid search. This gives you the ability to add thumbnails and promotional text which in end is a more attractive way to drive users to your videos. Some examples include the Office Max Viral ads, which increased organic traffic and in end produce high results for Office Max. Other great ways to drive traffic and high ranking is the use of channel profiles. Inside of channel profiles you have the ability to add a direct link and add multiple thumbnails. It is important to remember to use keyword rich titles and tags. When adding a channel title be certain to include keywords to help drive traffic and better SEO. One great tip we received was the ability to add another url in the 1st line of the description paragraph. AT last always encourage participation and enable all options for distribution. How to Optimize your video for Youtube? Some keys to optimization are include word video in your tile, search tags and description. It is also great place to link to external sites, external content or related videos on Youtube. Take advantage of adding a unique and attractive thumbnail which results show drives more traffic 26 – 2. Other great tools to use when creating videos is to add skins, overlays, watermarks to give more information. You many consider adding a URL, LOGO or even captions to help the user follow along. In order to keep getting great results and high ranking the key is to make sure your video is user friendly searchable. Are your tags, description and titles unique but yet easy for a user to input in google search or youtube search. Put yourself in the user chair and think about what the user will type in the search field to bring up your video.